Private bathroom in all rooms, wi-fi, dining table, waiting room or reading. 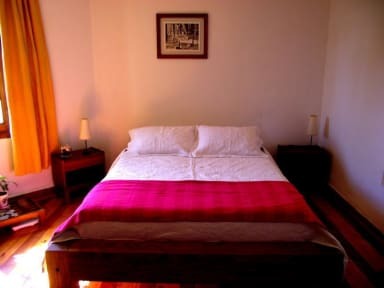 The house is very close to metro station Manuel Montt (subway) , just 4 blocks. Tourist information on the steps of the property. There are also many bars and restaurants on the same street, with a variety of dishes and styles. Of course I live here, so I can help you with information and other items for my guests. My house is special guest for its historic design, comfort, privacy, space, beauty. The guest house is a big house with two rooms, a single and a double. - Breakfast coffee or tea included (with milk if required) , consisting of fruit, yogurt, and toasted bread with cheese and ham. (If you want other meals, the value is extra). Personal-use towels provided by the property. -Sheets and replacement every 5 days. 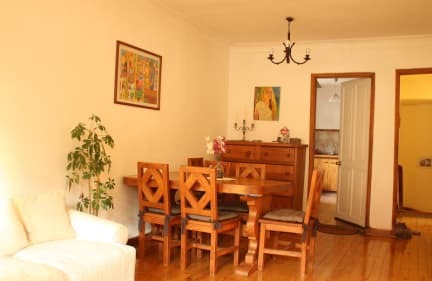 -Spaces like the hall, donde can read, share with other guests and the hostess. Microwave and refrigerator in the community use.